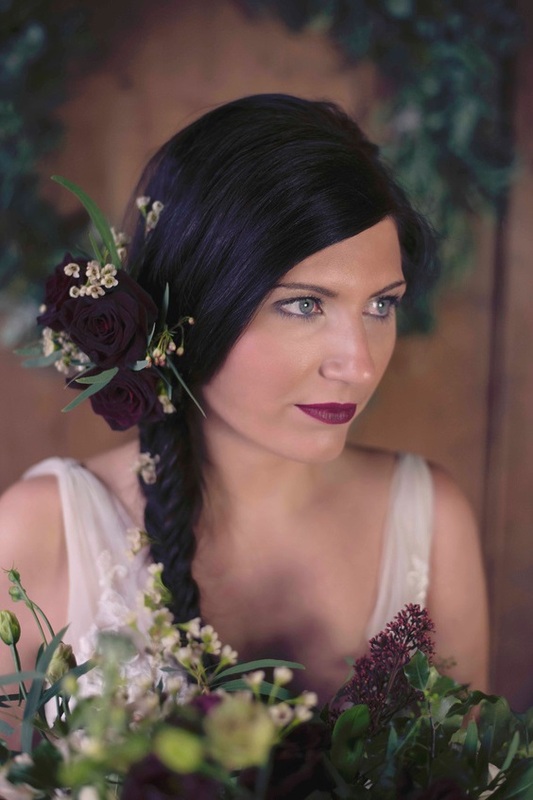 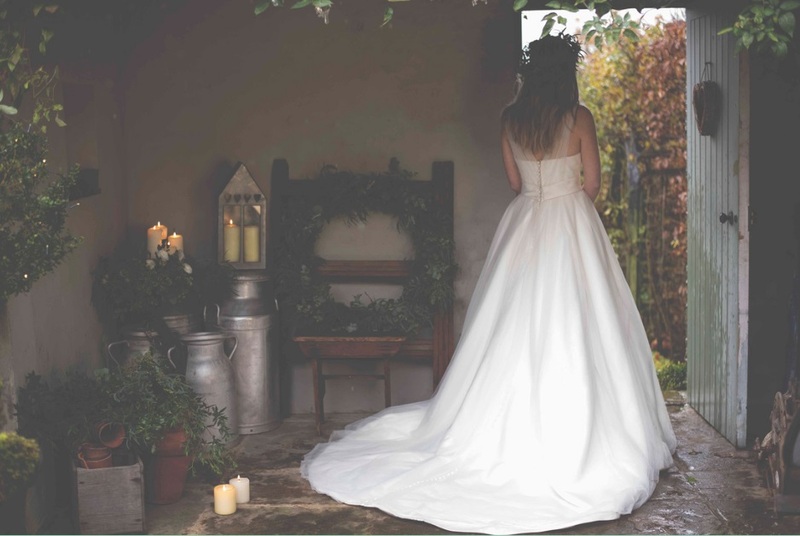 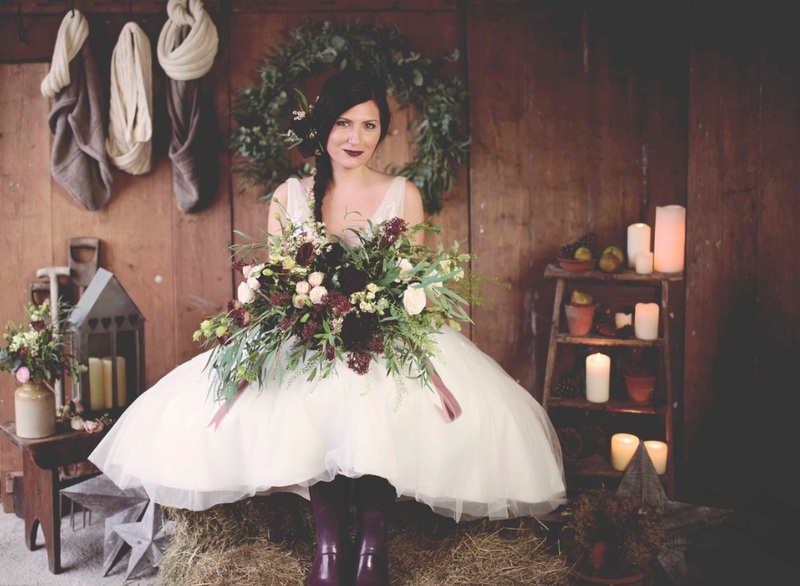 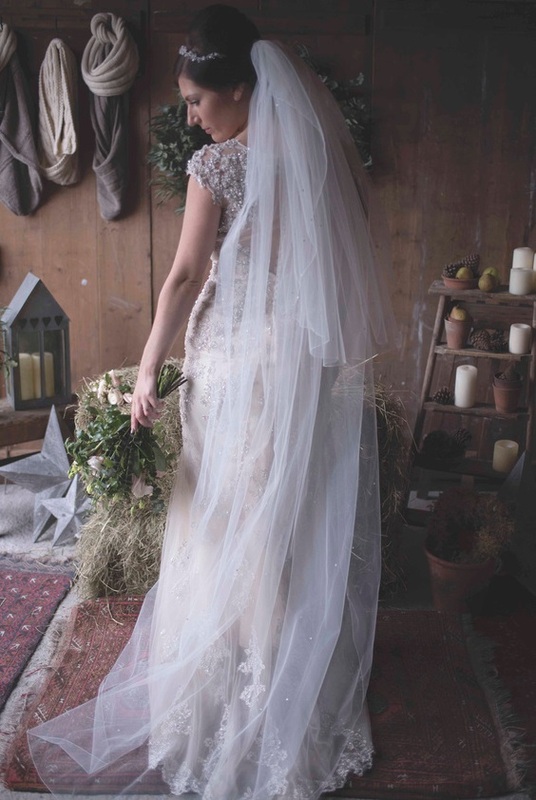 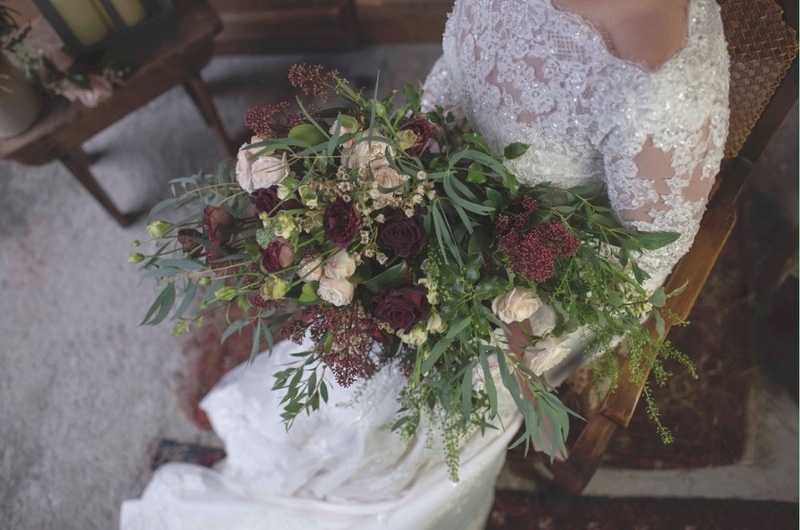 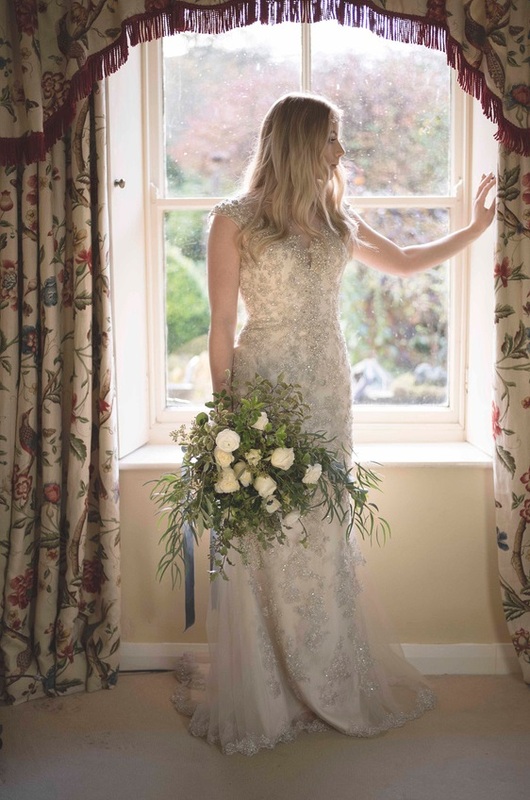 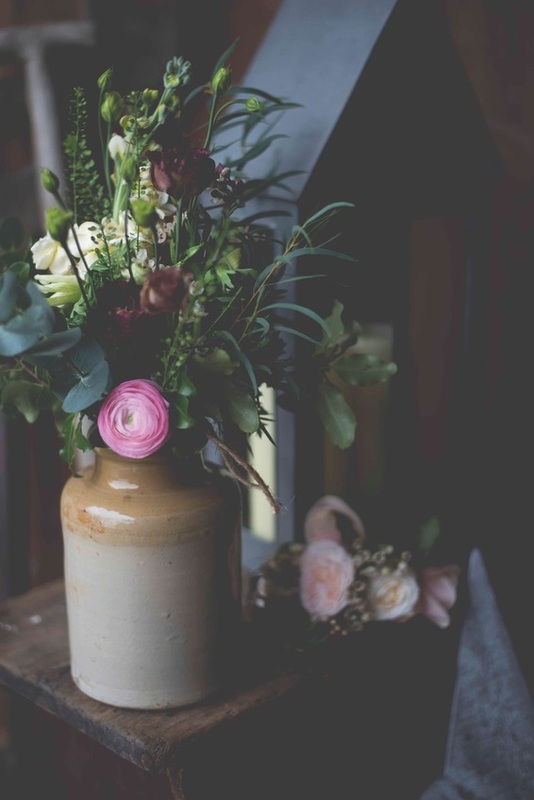 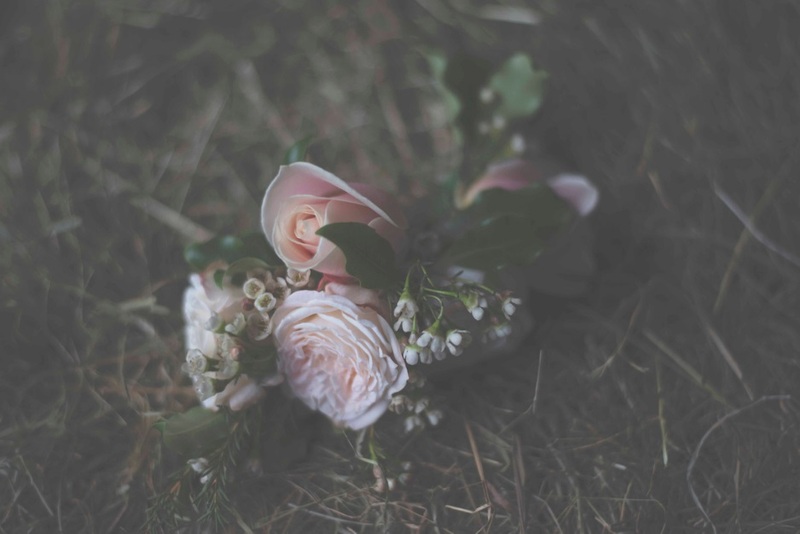 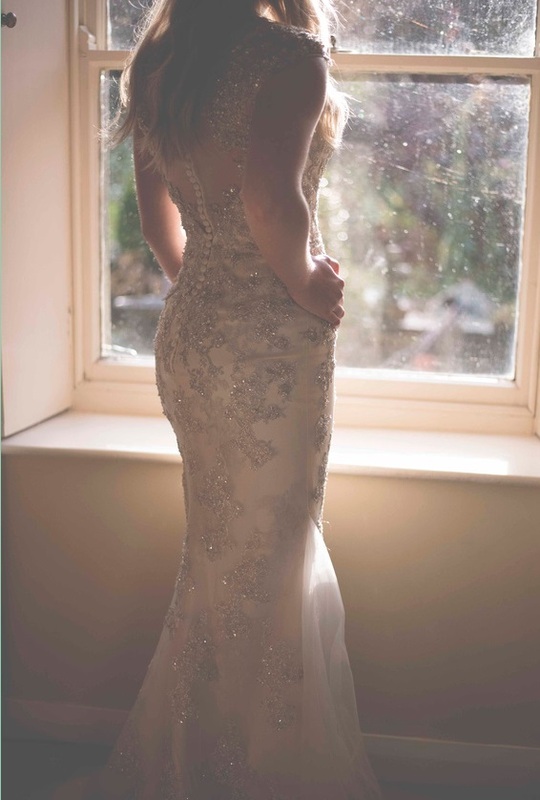 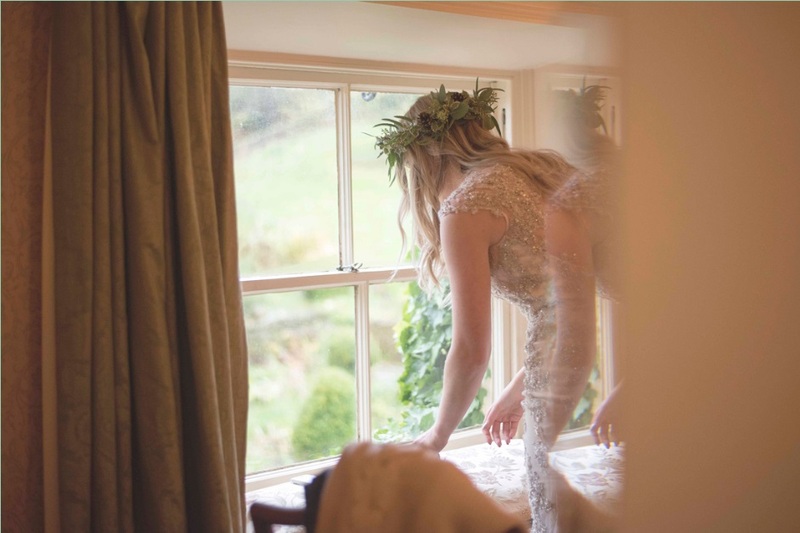 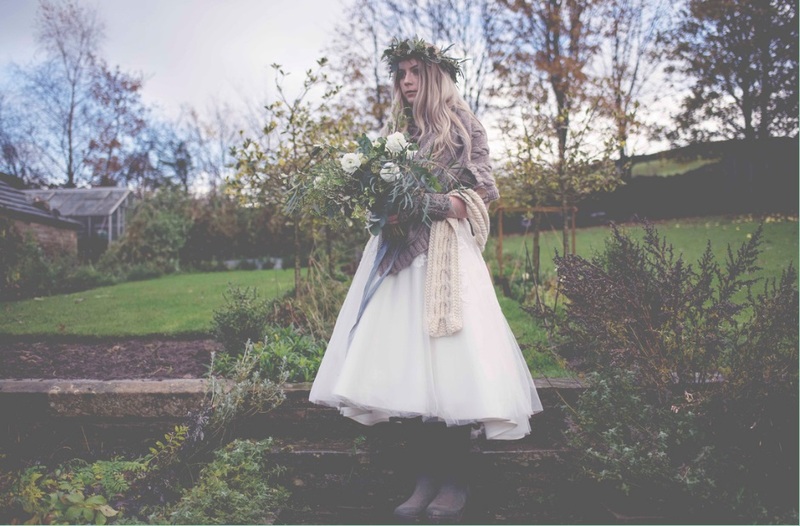 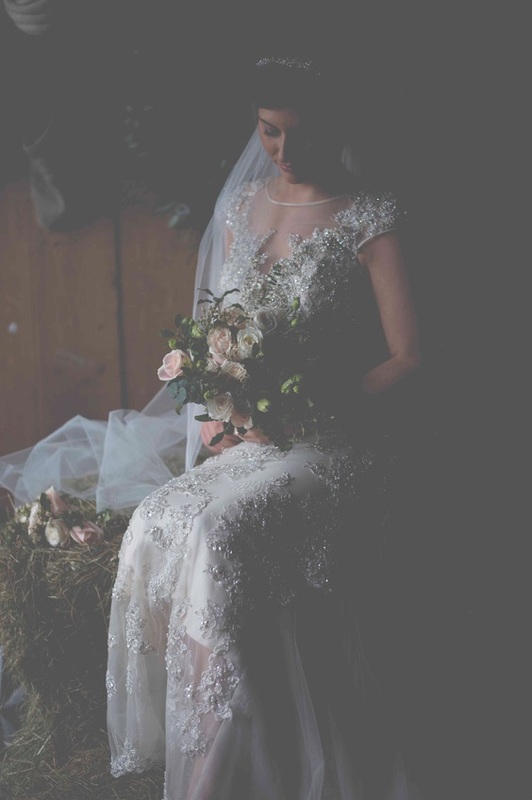 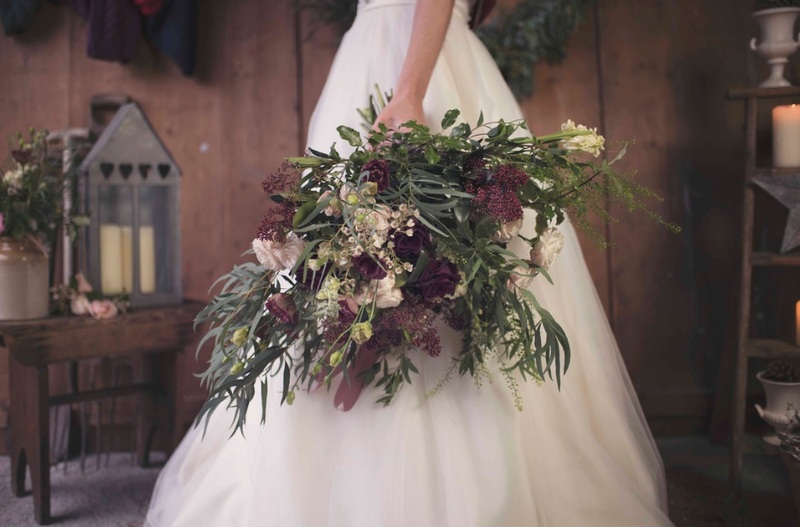 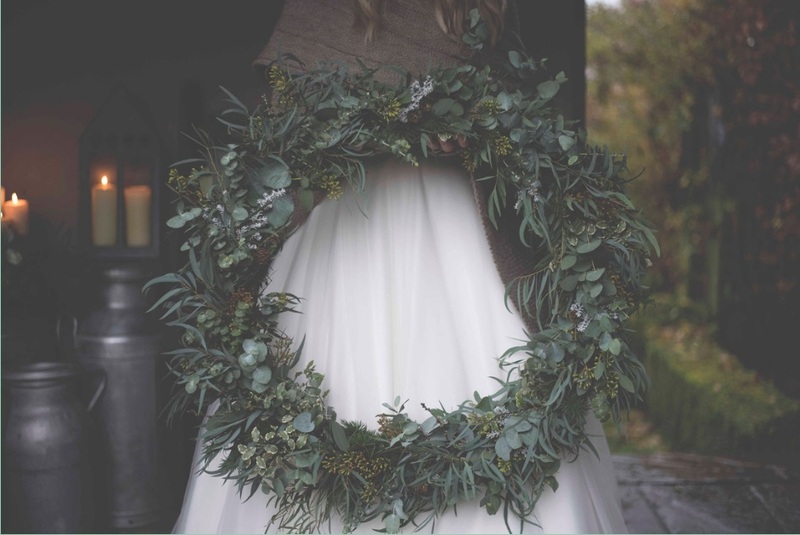 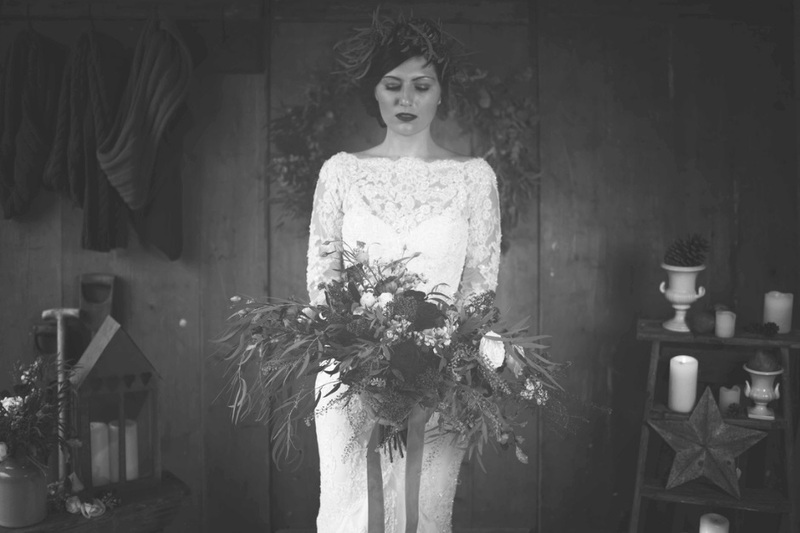 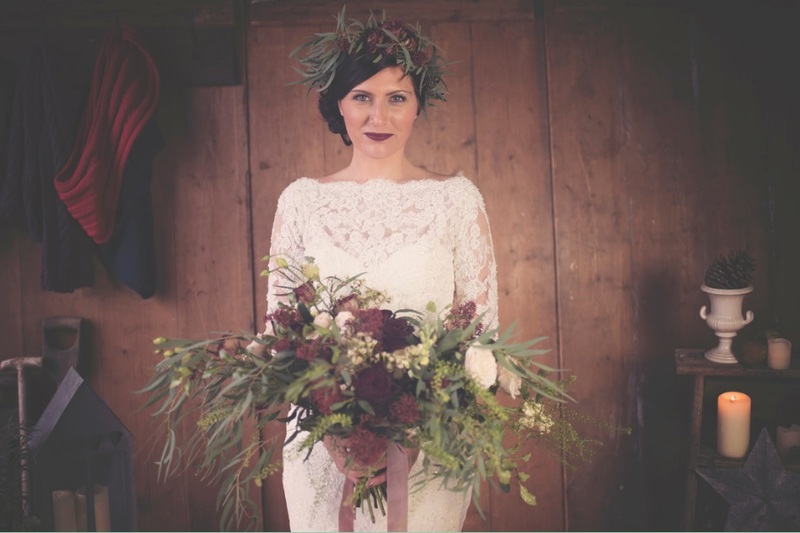 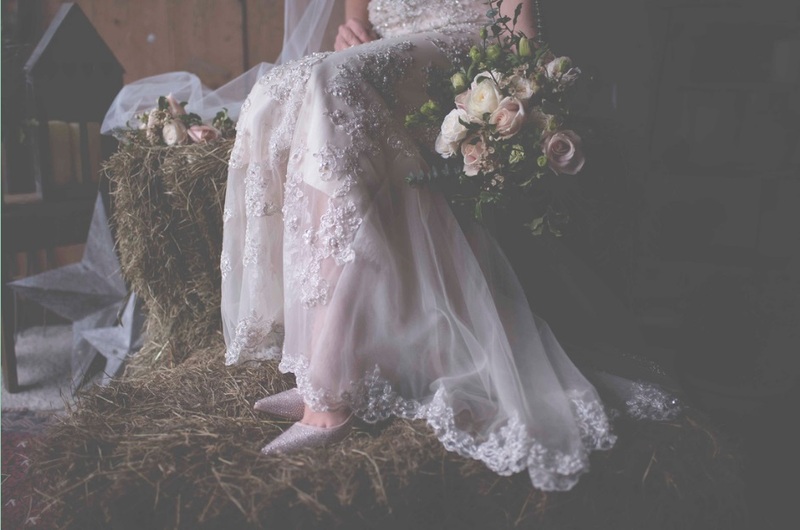 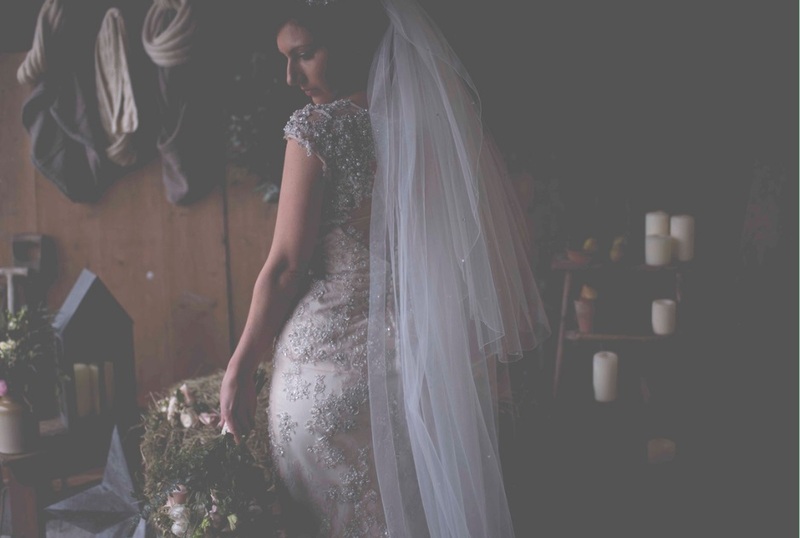 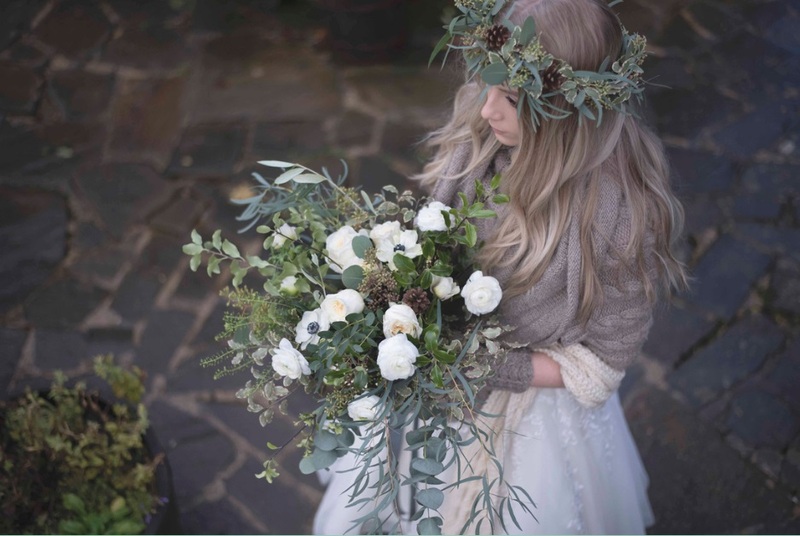 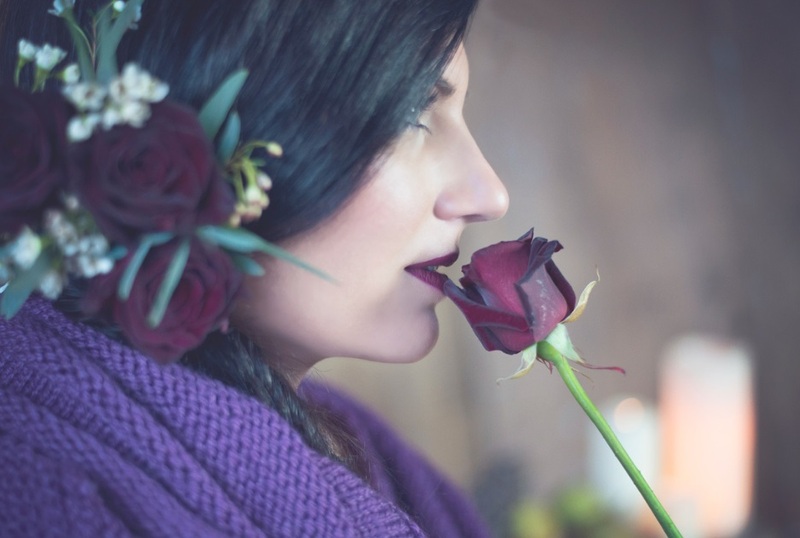 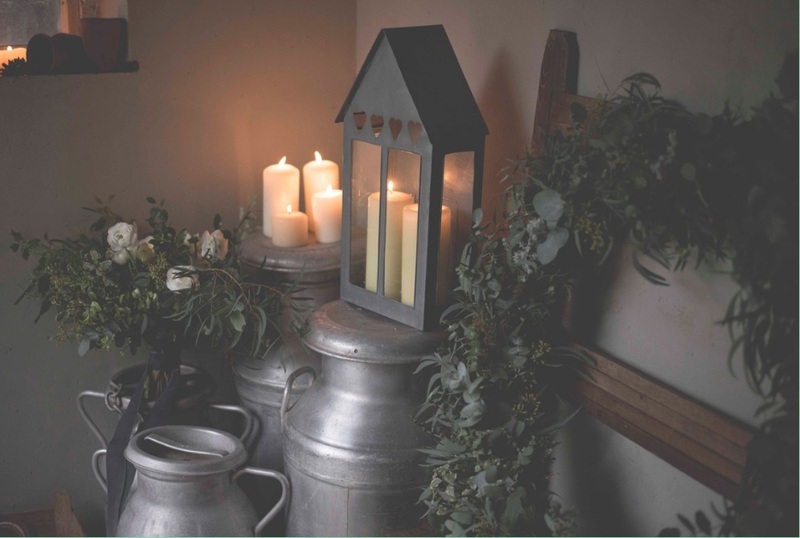 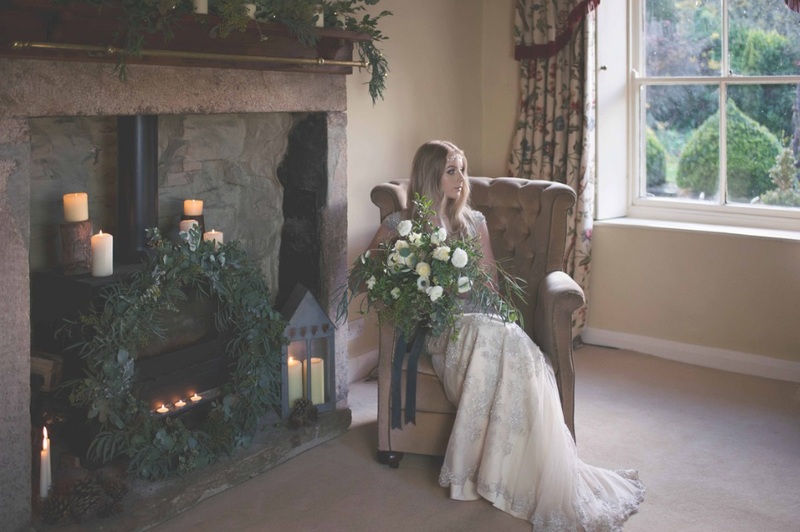 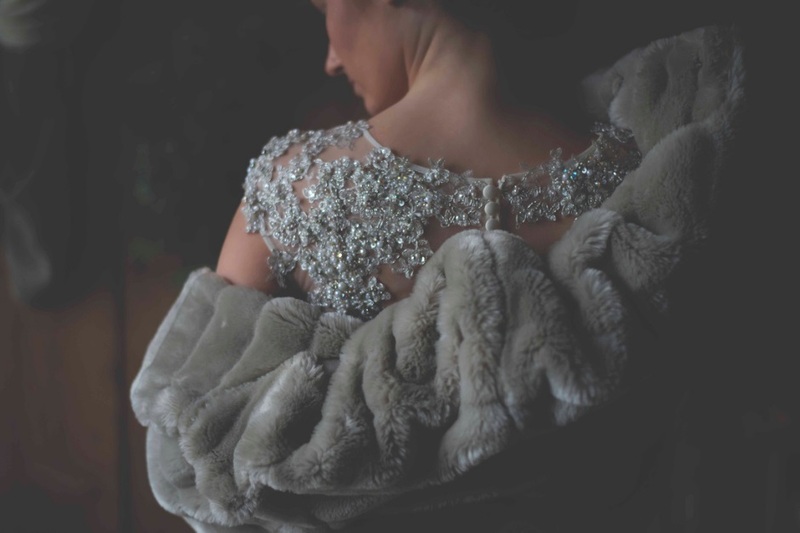 In November we were privileged to be asked to provide the dresses for a fabulous collaborative winter wedding styled shoot with Silvery Moon Photography and The Yorkshire Dales Flower Company which took place on a cold winters day in the hills above Skipton in The Yorkshire Dales. 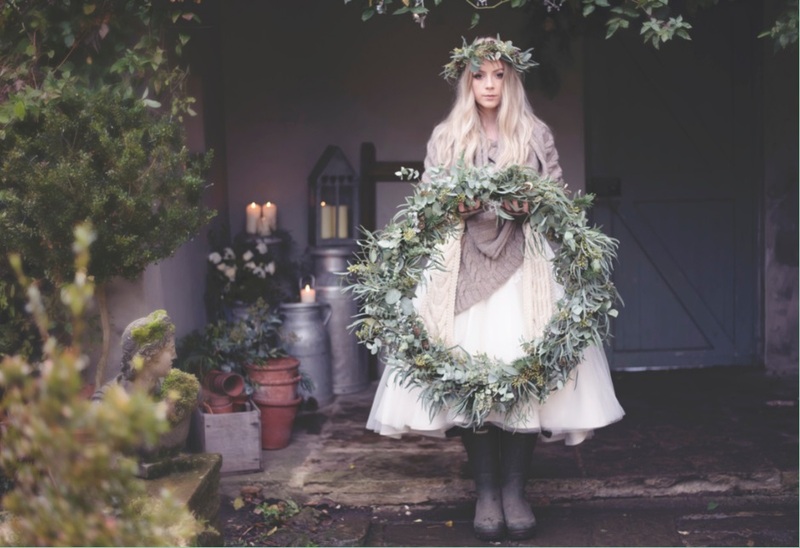 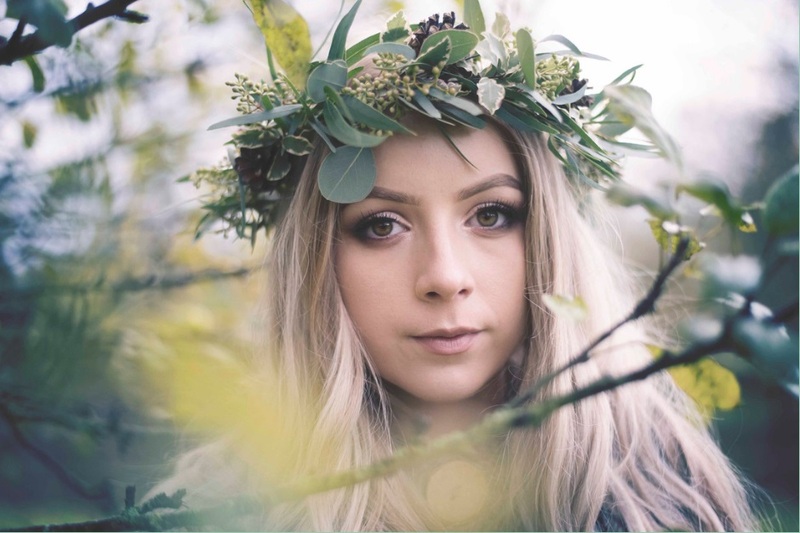 Take a look at the incredible images captured by Silvery Moon Photography, perfect inspiration for brides planning their winter weddings. 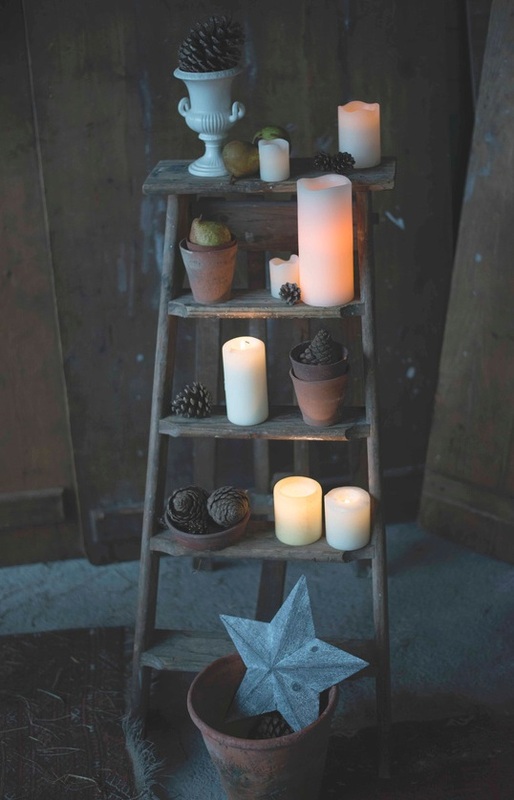 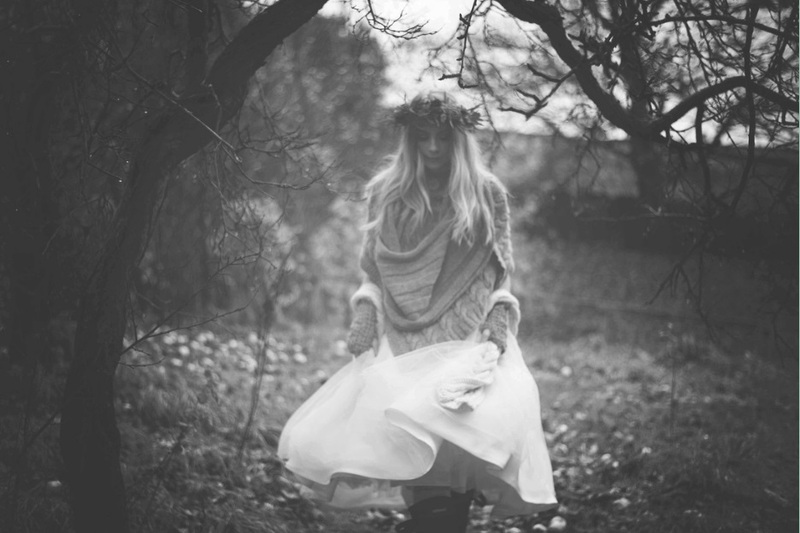 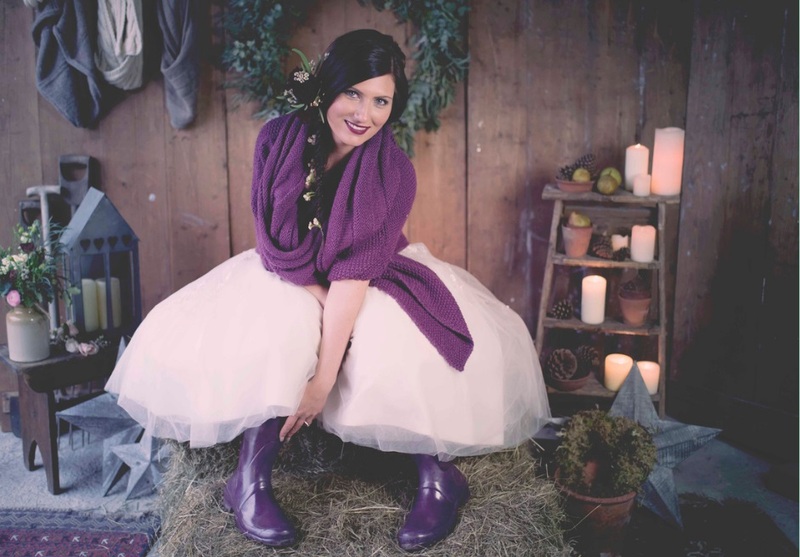 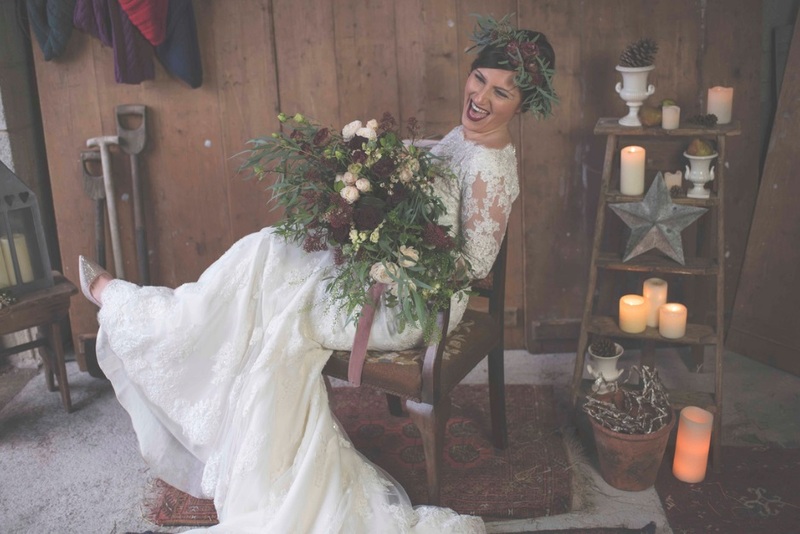 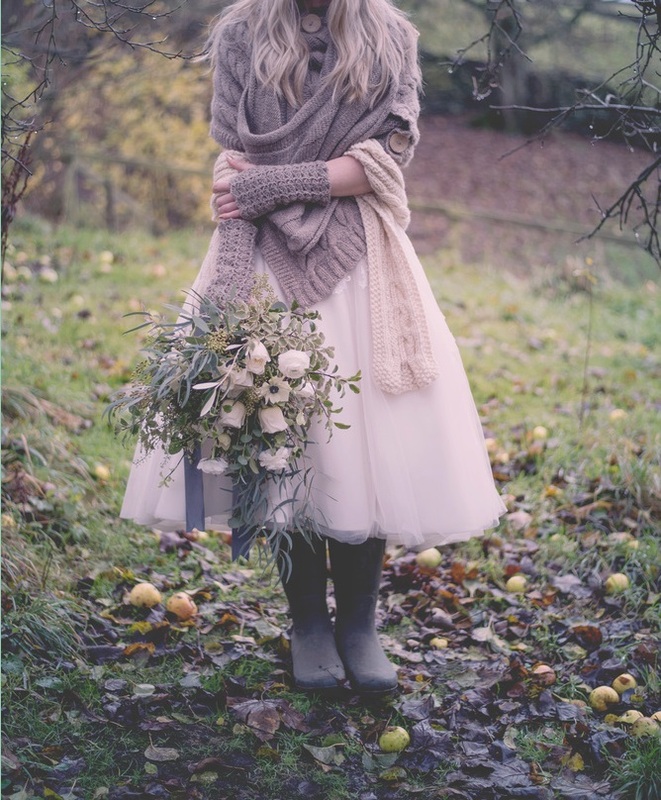 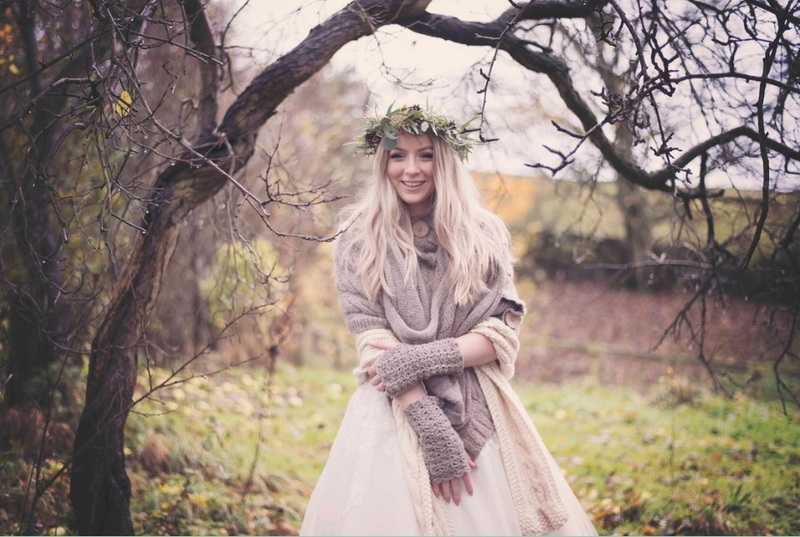 We love every single one of the photographs, and love how cosy it feels even though it was a freezing day! 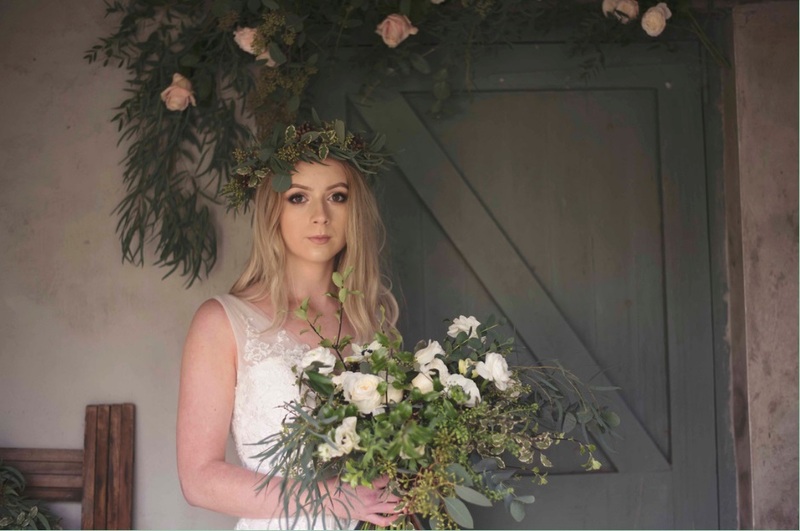 For her fabulous creations Susan, from The Yorkshire Dales Flower Company, used Roses, Ranunculus and Anenomes. 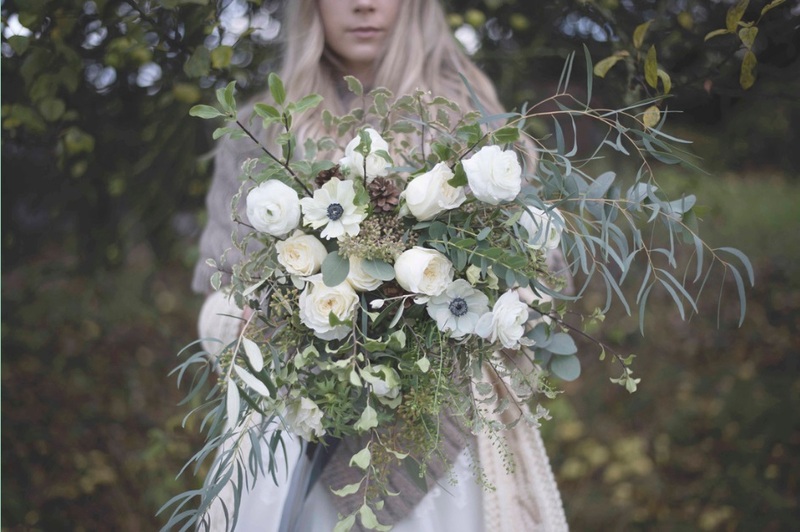 She also used lots of silvery foliages and pinecones. 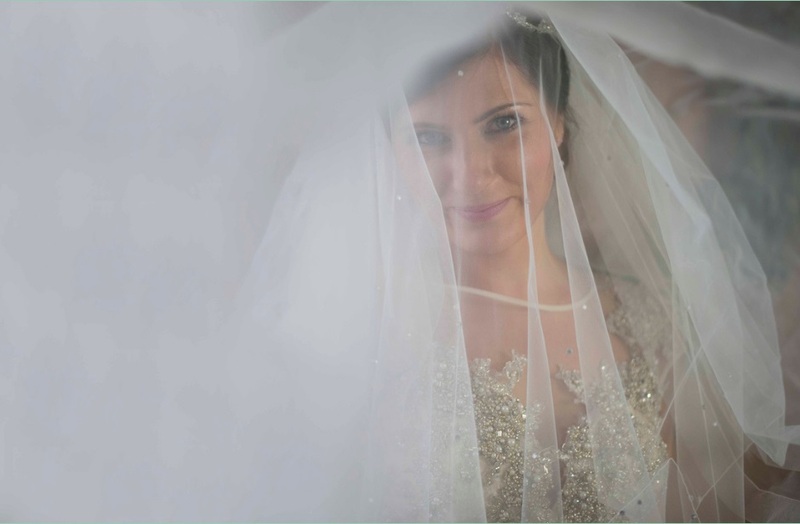 Francesca wore Regina by Ronald Joyce, 11404 by Ellis Bridals, and 11228 by Ellis Bridals. 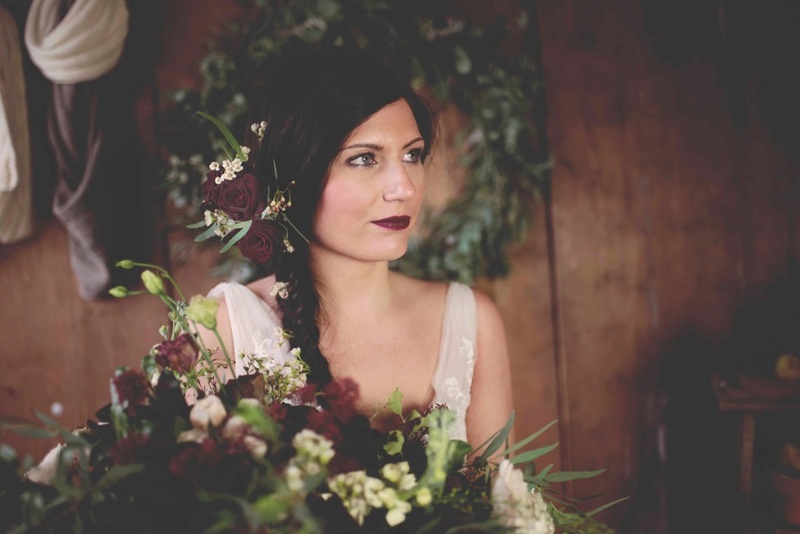 Francesca is a budding make up artist with a real talent and she did her own make up for the shoot. 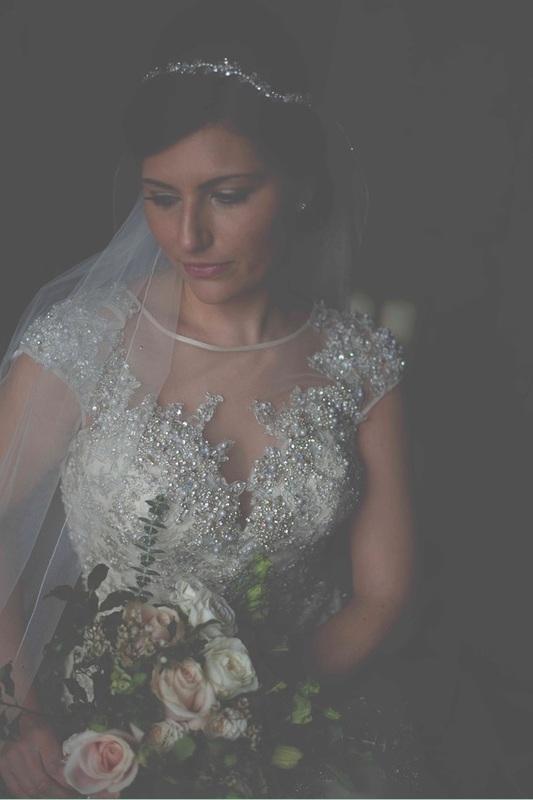 Hannah also modeled Regina by Ronald Joyce, 11368 by Ellis Bridals, and 11404 by Ellis Bridals. 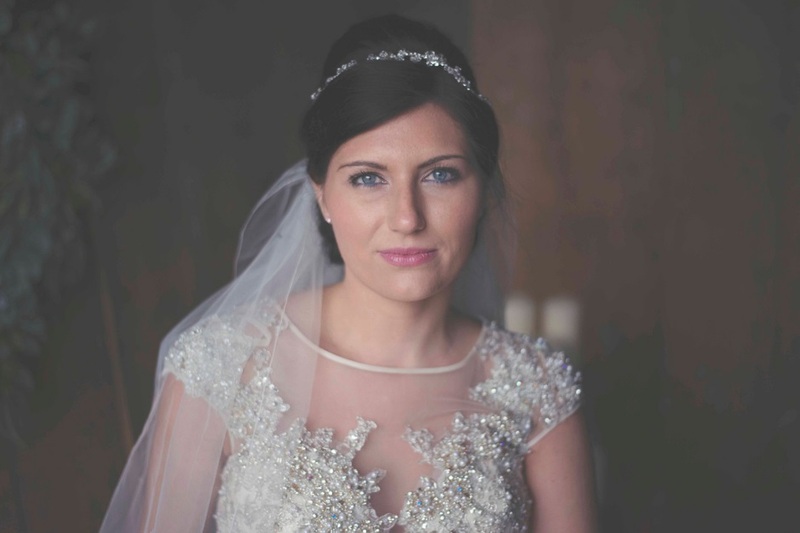 Hannah is a Beauty Therapist in Skipton, so was more than happy to do her make up for the shoot. 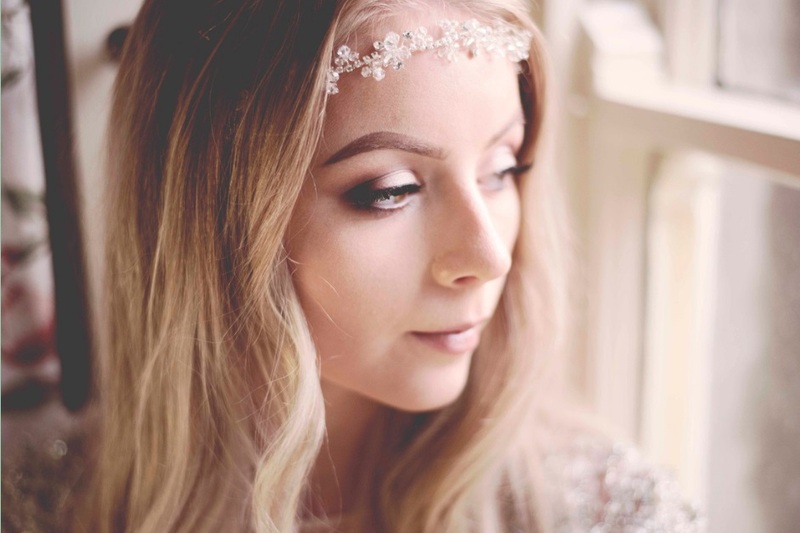 Local hairstylist, Ella Beau, was on hand to create beautiful hair for Hannah. 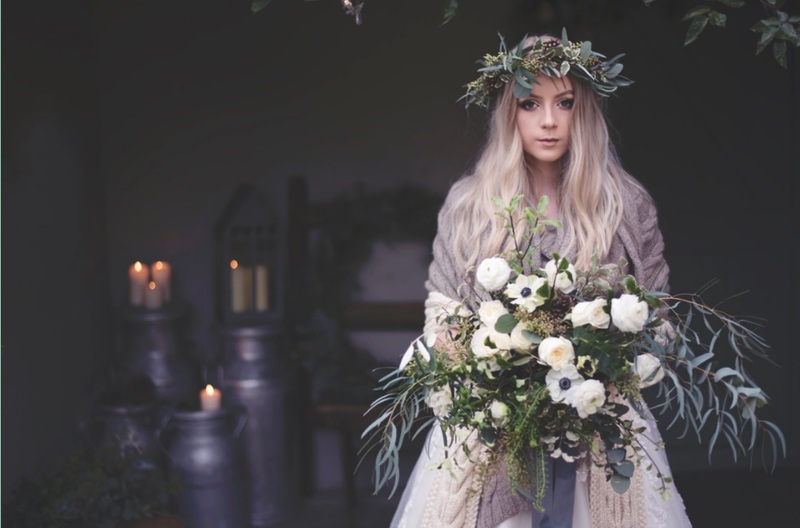 We hope you love this shoot as much as we do! 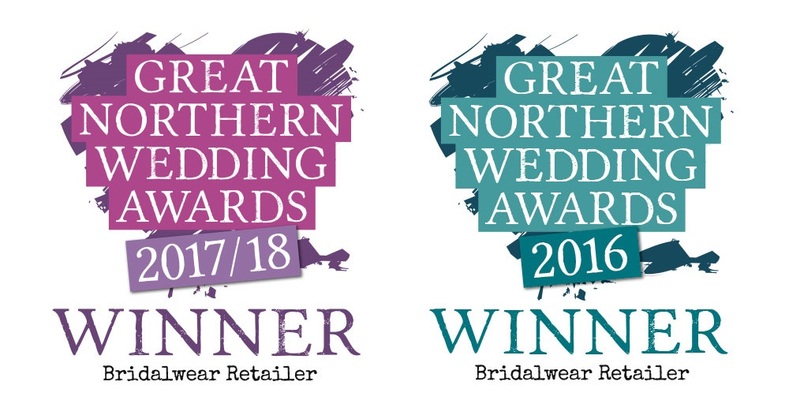 Thank you to everyone involved, it’s great to work with such fantastic local suppliers.